Philatelic Literature & Research – Page 54 – Companion blog to the Philatelic Literature Review, quarterly journal of the American Philatelic Research Library. I’m looking forward to being a regular contributor to the new blog of the American Philatelic Research Library (APRL). The blog format for communicating information is well established in the virtual world of the Internet, and I’m confident that it will be an effective way for the APRL to assist philatelists in the study of a broad range of philatelic topics. 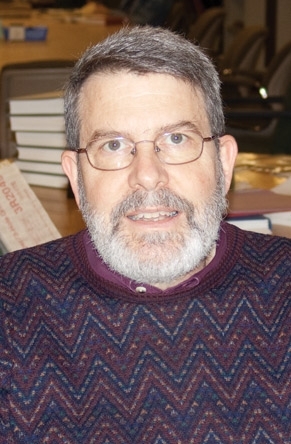 I’m a current member of the APRL Board of Trustees, and I write the “Library News” column for the Philatelic Literature Review (PLR). Unfortunately, the news in the “Library News” column is often old news because of the quarterly format of PLR. Currency is one of the major advantages of the blog format. Part of my enthusiasm for the blog format stems from my experience in maintaining the Library History Buff Blog and and the Wisconsin Library Heritage Center blog and website. I have an interest in philatelic libraries and museums other than the APRL and this will be a focus of some of my future contributions to the blog. My primary collecting interest is an area which I call postal librariana. I have developed several philatelic exhibits featuring libraries and usually enter these exhibits in the Display Division. My interest in libraries stems from a career as a librarian (now retired) which started almost 48 years ago. As the blog proceeds, I hope my interests in philately and libraries will result in some useful and interesting posts for the readers of this blog. The sun is coming up in St. Louis – this is my time of day – the quiet, early morning before phones ring and e-mail announces new messages. Libby, our rescued poodle mix, is napping in front my armchair after a dawn walk. Perhaps, you already know me through my Colophon column in the Philatelic Literature Review, or an article in one of the magazines where I share my stamps and covers. In any event, I would like to say a few words about my plans for this blog, my collecting interests, and my non-stamp background. Writing a news column for a quarterly journal has always been frustrating because of the long gaps between issues. The plan is that my blog posts will complement, not replace, the Colophon. Blog posts will allow me to share news about book releases, literature awards, and research opportunities in a timely fashion as I discover them. In the Colophon, I will strive to provide information in greater depth and perhaps review some of the books announced. No doubt, it will take a little time to strike the proper balance between the two media; hopefully the relationship will evolve in response to readers’ comments. Welcome to Philatelic Literature & Research, the blog of the American Philatelic Research Library. This blog supplements the library’s quarterly journal, the Philatelic Literature Review, bringing you the latest news about philatelic literature and research, as well as brief items of interest from the APRL. I am the librarian at the American Philatelic Research Library, and I will keep you updated on the very latest happenings here at the library and offer tips for using our resources. I’ve only been working at the APRL since July, so I am busy learning about philately and exploring the wonderful collection here in Bellefonte, PA. Follow along with me as I get to know the literature and uncover hidden treasures in our collection. If you have questions or comments, you can post them here on the blog, or see the APRL website for contact information. My co-bloggers, Larry Nix and David Straight, will introduce themselves soon.